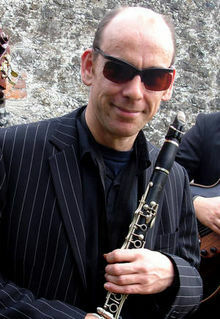 Ciaran Wilde started working as a session saxophonist and clarinettist at the age of 15. He performs with the RTE Concert Orchestra, Irish Jazz Orchestra, Louis Stewart, Jim Doherty, Hot Club of Dublin and Hugh Buckley Group. In 2006 he founded the 'Dublin City Jazz Orchestra' with Trumpeter Ray Martin, and in 2011, recorded an album with pianist George Mesterhazy and US based Irish guitarist David O Rourke.